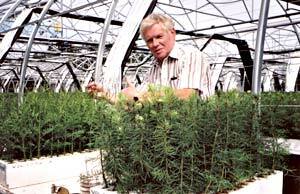 Western Forest Products is very generous in giving us an opportunity of conducting seedling growth research at their nursery facilities on Vancouver Island. 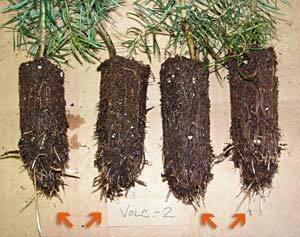 The comparative seedling samples pictured below reveal the innate characteristics of ”Volcanite” as a growth stimulant. The greater bio-mass of the “Volcanite” treated seedlings is evident. 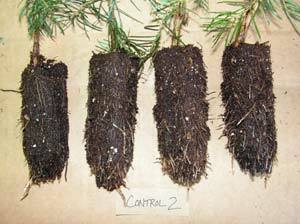 Commercial seedling tests with Forestry companies now underway. In the Root Growth Capacity (RGC) growth check (control group-2) below, the seedlings were grown in regular formula of micronutrients, etc. The ”Volcanite”-2 group of seedlings below were grown in the same formula as those above but with 2 oz of volcanite added. 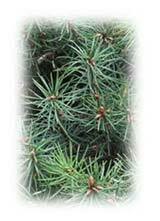 Notice the greater production of root hairs. The comparative seedling samples reveal the innate characteristics of “Volcanite” as a growth stimulant.